Android works on Artificial Intelligence! Did you know Android already uses artificial intelligence! Well the swiftkey app uses it and thats for sure! The SwiftKey app offers an alternative for the native android keyboard and claims to use artificial intelligence concepts to make typing a great experience. 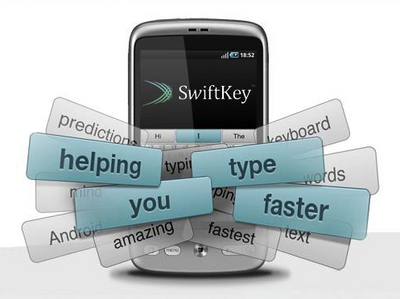 SwiftKey’s artificial intelligence technology predicts next words in your writing style. This might be similar to your traditional T9 predictive text but the difference is instead of working on the word being typed, the app actually predicts the next word depending on your writing style. It learns from your initial texts and then uses its AI brains to predict. Based on the texts you send out, it improves its “Fluency” engine which learns more about your writing style and adapts. As the app learns more, it will get faster and easier. You can try it out for a free one month trial and pay $2.99 thereafter. You can download it from here. Google Releases Android 4.0 SDK! Next Verizon iPhone will have Hotspot Feature!